Make sure your potential customers can easily find you when they’re organically searching for your products or services online. Our SEO services will help you to rank higher on Google and Bings for many keywords related to your business. How can SEO help plumber websites? Internet marketing has changed the traditional business. Now, every business is adopting internet marketing for growing the business. Search Engine Optimization (SEO) is one of the best ways to become popular in the search engine and get more clients. Plumber business is also adopting the SEO services from various sources. It helps the business to grow and get the targeted customers easily. SEO for plumber websites is mandatory for you if you are running a plumber business. How much cost SEO for plumbers? 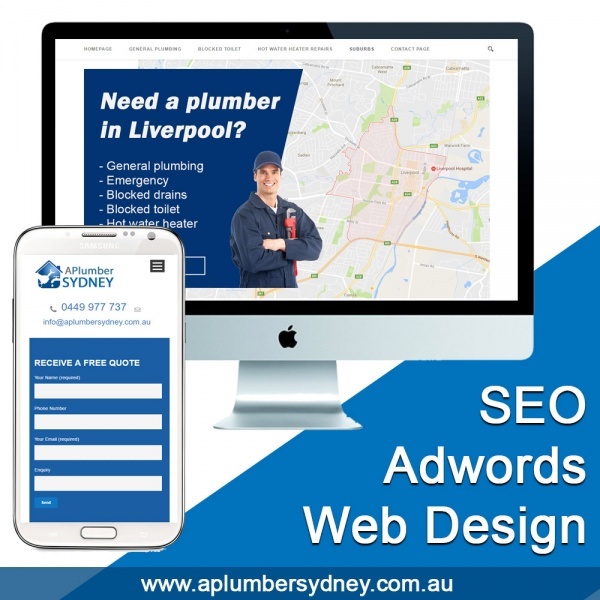 Our SEO Division will rank keywords like "plumber Sydney" & "leaking toilet repair in Sydney". We will rank you for many keywords on page 1 in your state or nationwide based on the contract. If you have a website for your plumbing company, you need to take an SEO service. Basically, the SEO service will help to get the website on the first page of Google, Yahoo, and other search engines. As a result, you will get more clicks that increase your customers. Many plumbing companies are hiring SEO professionals to rank on the first page. If you can reach to the position, it will help your business in many ways. How SEO works for a plumber website? What actually SEO service provider do? Normally, they will research a right keyword for you. Then, the professional will help you to rank for the keyword. For example, you are providing plumbing service in Sydney. So, we can assume the keyword your expert choose is- Plumbing Company Sydney. The SEO service provider will try to rank your website using the keyword along with many other search terms. Of course, there are many websites that will hunt for the keyword. The SEO expert will choose a keyword that a large number of people use to search. As a result, you will get a good number of visitors to your website once you start getting benefits. As the expert is working for your website, you will start growing into the search engine. Your website will come start coming forward and get more chances to increase the visitors. You will always get a high number of visitors when you are on the first page. Depending on the competitor, the time will vary. So, you need to wait with patience to get the benefits of SEO for plumber websites. SEO for plumbing websites will give your visitors but you need to setup the website attractively to grab the opportunity. Your visitors may not hire you or call you if the website is not well-decorated. Now you know how SEO works for plumbing company websites. In fact, it works for all types of industries. If you also want to grow your plumbing company, you should hire a professional SEO to get the benefits. So, make a budget and find the best SEO expert for getting the benefits. Visit our Adwords page for all the work related to Google Adwords. Digital marketing for plumbers. Does it work? We designed www.aplumbersydney.com.au on Wordpress. Why did they need a new website? In recent years, competition increased a lot in Sydney and the Affordable Plumbing Maintenance looked at their different options to get back into the market with a strong advertising campaign. Our job was to increase the number of leads and conversion rate through their website and online advertisement. A plumber Sydney is now increasing their team and provide plumbing in Sydney including Liverpool, Manly, Baulkham Hills, Granville and Penrith. 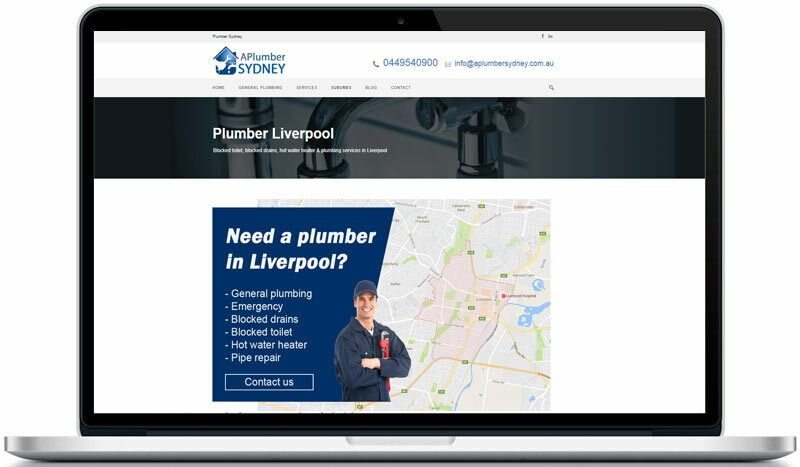 We designed a similar website to A Plumber Sydney for A Plumber Newcastle to maintain a nationwide branding across Australia. Check our new website for A Plumber Newcastle.